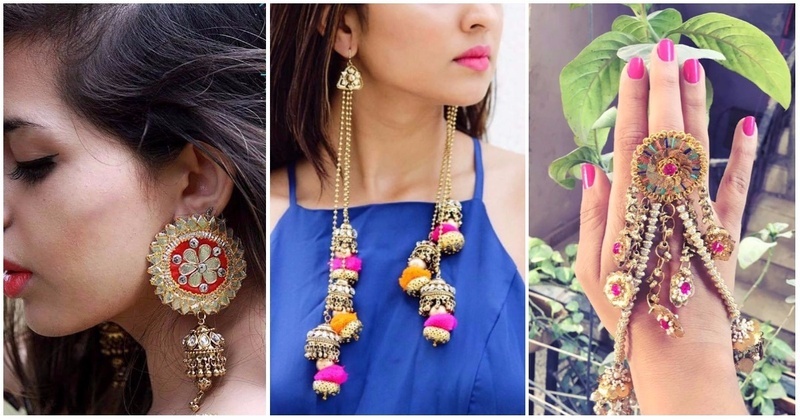 3 Online Jewellery Stores That Have The Prettiest Mehndi Jewellery For Indian Weddings! Established in 2013, Fooljhadi is an exclusively hand crafted brand of jewelry with a distinct Indian flavor. Fooljhadi’s signature is its distinctive ability to capture the essence of India. Using traditional embroidery techniques and blending Indian art with Western concepts is what makes it unique. Home-made products crafted with sheer happiness! At Krafted With Happiness, they continuously strive to make a lovely concoction of happiness and quirky, to make sure that any and everything you carry from them is an extension of your true self. Prune India offers exquisite Gota floral jewellery handcrafted in India with unique and gorgeous designs. All images are owned by their respective vendors.